Jamie Gamble is the owner and principal consultant of Imprint Inc. Jamie is directly involved in designing and delivering consulting mandates in a variety of areas including strategy, change and evaluation. Jamie has proven competencies in research, analysis and presentation, and an aptitude for working in situations of complexity and ambiguity. He is an effective listener and communicator with excellent writing skills. His high proficiency in group process and facilitation has earned him acclaim from the numerous groups he has worked with. Jamie frequently collaborates with other consultants to deliver more comprehensive services to his clients. 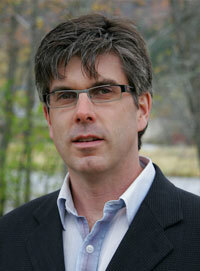 Jamie has extensive international experience and has worked in India, New Zealand and Mexico, and all across Canada. Jamie holds a Masters of Management Degree from McGill University in Montreal, Quebec where he graduated from the highly-regarded McGill-McConnell Program. He also holds an Honours degree in History from Bishop's University in Lennoxville, Quebec and a Not for Profit Management Certificate from the Banff Centre for Management. He is active in his community and holds various volunteer board and committee positions. He is published as both a photographer and writer, and is an avid musician and long distance runner. Developmental evaluation supports adaptation and learning in initiatives involving high levels of uncertainty, innovation, and complexity. Combining the rigour of evaluation with the flexibility and imagination required for development, this new approach to evaluation brings critical thinking to bear on developing new social innovations, scaling opportunities, or adapting models to local contexts. In 2008, the J.W. 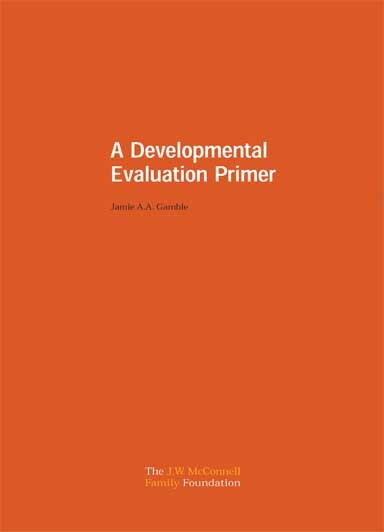 McConnell Family Foundation published Jamie Gamble's primer on developmental evaluation. © 2010 Imprint Consulting Inc. All rights reserved.